Intrepid Control Systems » neoRAD-IO2-BADGE neoRAD-IO2-BADGE | Intrepid Control Systems, Inc. 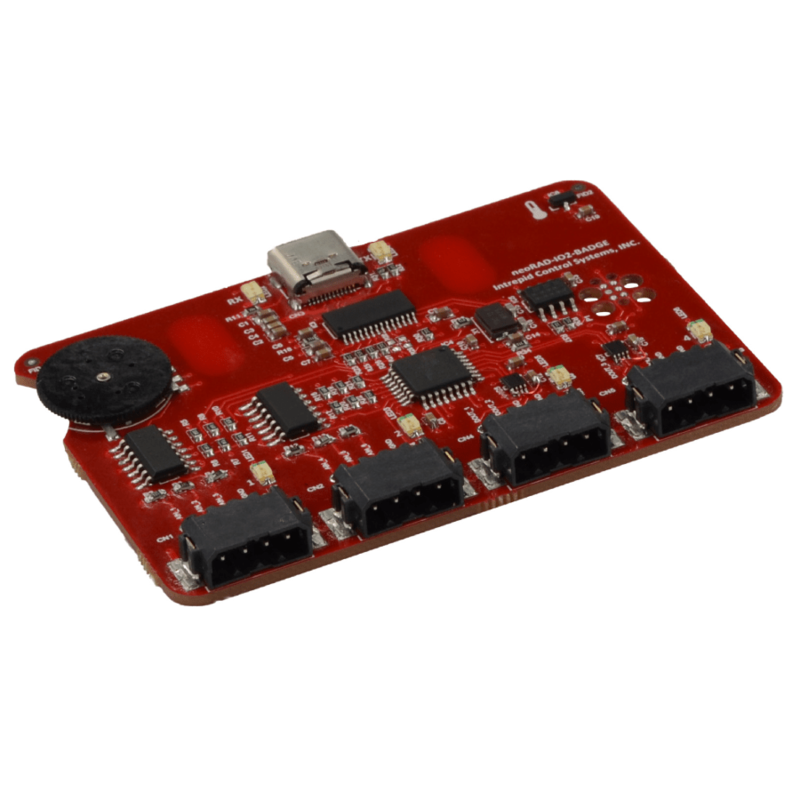 The neoRAD-IO2-Badge is a demonstration platform that can measure multichannel analog input and digital output on a single low-cost device. The device mimics the RAD-IO2-AIN and RAD-IO2-PWRRLY. Using Intrepid open source APIs, neoRAD-IO2-Badge can measure eight analog inputs with six 0-5V analog channels, potentiometer, and temperature sensor. 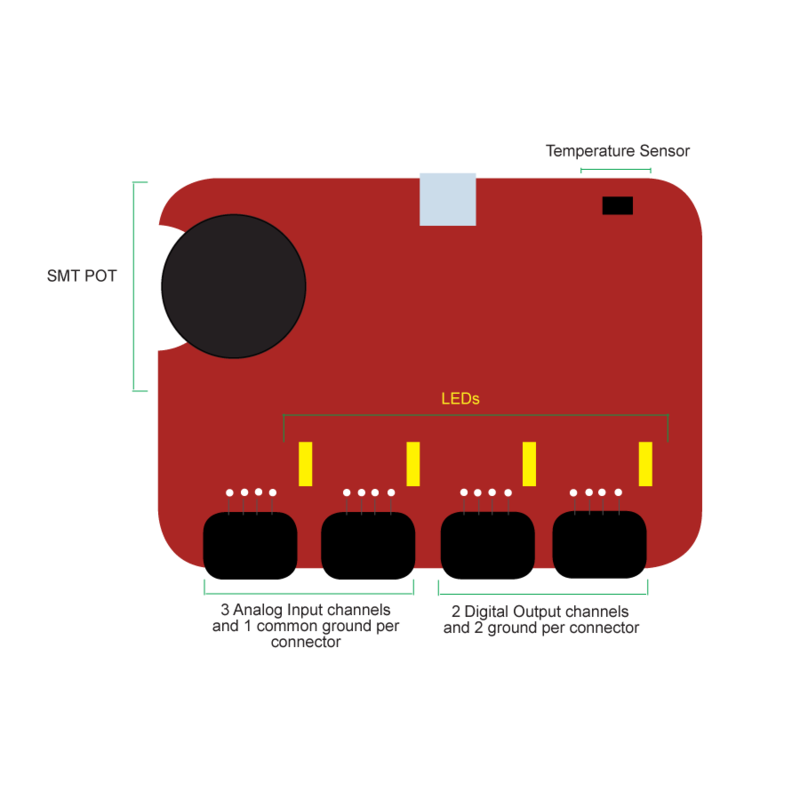 This device can be used to simulate a relay module with LEDs as well as output four digital 0-5V channels. The neoRAD-IO2-Badge demonstrates how easy it is to get started with Intrepid Analog DAQ tools like RAD-IO2-AIN and RAD-IO2-PWRRLY.